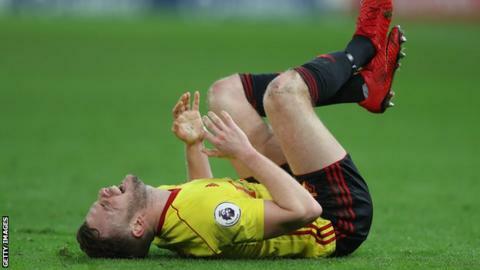 Watford midfielder Tom Cleverley will miss the start of the new season after having long-awaited surgery on his Achilles. Cleverley, 28, has not featured for the Hornets since sustaining a hamstring injury in January. He hopes to return in the autumn, following an operation to fix his long-standing Achilles complaint. "This is something I've put up with during my career so it's good to get it sorted," said Cleverley. "I had been used to playing with pain in my ankle. Now that's going to be a thing of the past, I'll be fit and raring to win my place back once I've finished my rehab."